Invite your guests to the marriage of the century. Yours is the royal wedding everyone has been waiting for, so set the tone early with the Wedding Classic Invitation. 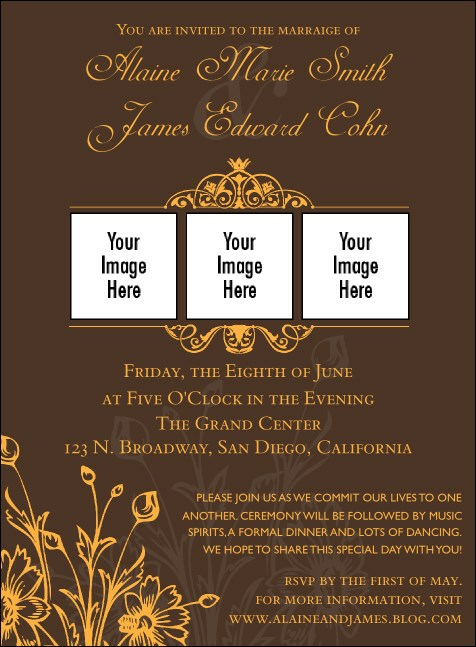 Printed in elegant colors, this invitation template boasts a beautiful floral design, and with space for three images of the intended couple, and plenty of space for your text, this invitation is sure to delight your guests.